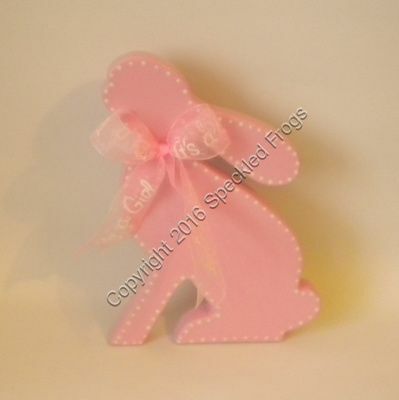 Free standing Rabbit shelf decoration. Hand painted in pink edged in white polka dots. Size 20 cm tall approximately.